Have you ever been in an elevator before that is full of people, and much to the disgusted surprise of everyone, a fart is released. We call those “silent killers”, for their obvious modus operandi as well as potentially lethal smell to your olfactory canal. 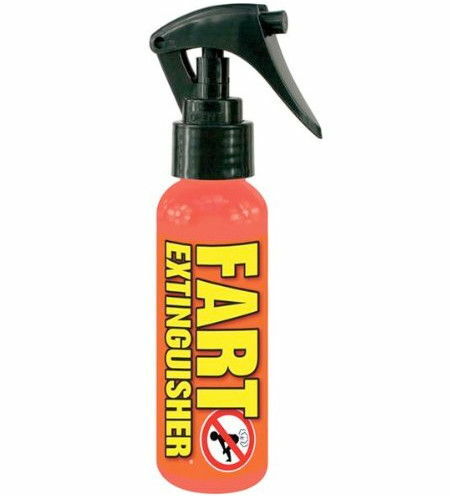 Well, the next time someone actually lets loose in an elevator, you would do well to take out the $9.95 Fart Extinguisher Air Freshener and start spraying it all over the place, while announcing to the rest of your elevator mates just what is it you’re doing just in case that they think you’re some sort of crazy person. Of course, this comes in handy as well if you are the perpetrator.